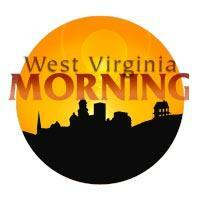 West Virginia lawmakers are looking into ways to prevent another chemical spill. Some Pennsylvania resident face paying a ‘rain tax'. A telescope in danger of closing is still making ‘far out’ discoveries. And a West Virginia community is fixing its own water problems. Majority Leader John Unger introduced a bill Thursday that would require all above ground storage facilities for liquids be registered and inspected. West Virginia Public Radio's Cecelia Mason talked with Unger about why the legislation is needed and what it would do. W.Va. Community Goes Five Months Without Usable Water: While hundreds of thousands of West Virginians are going days without water, a community including an elementary school has not had usable water since September. West Virginia Public Radio's Jessica Lilly reports the flushing process is underway there but without an upgraded system customers will have to wait even longer for usable tap water. proving expensive, especially in older communities, where water pipes are crumbling and in need of repair. Some local governments are starting to charge residents a storm water utility fee. The Allegheny Front's Julie Grant visited one Pennsylvania city that recently started what some call a "rain tax." 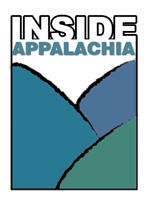 Independent Acid Mine Cleanup in W.Va.: A community in southern West Virginia has come together to clean up the acid mine drainage that had polluted a creek there for decades, effectively choking out all aquatic life. As WMMT’s Parker Hobson reports, an organization, called the Morris Creek Watershed Association came up with a homemade treatment system and members feel that a cleaner creek has benefited their rural community. "Far Out" Discovery From W.Va.: The National Science Foundation had recommended closing the National Radio Astronomy Observatory in Pocahontas County, W.Va. and efforts have been underway to keep that from happening. In the meantime, West Virginia University is investing $1 million over the next two year to support the facility. And as West Virginia Public Radio’s Ben Adduchio reports, the telescope is still making remarkable astronomical discoveries, including one that’s being called a “puzzle” by W.V.U. astronomers. WVU Professor Publishes Gandhi Book: Mahatma Gandhi is widely recognized as a leader of Indian nationalism in British-ruled India who employed nonviolent civil disobedience, and inspired civil rights movements across the world. A professor at West Virginia University’s College of Law recently published a book that explores a side of Gandhi most are not familiar with…his early years as a lawyer in South Africa. As West Virginia Public Radio’s Glynis Board reports, it’s the first extensive examination of this chapter Gandhi’s life. Kentuckians and West Virginians learn the state of their states. 50 years ago President Lyndon Johnson declared a war on poverty. We travel 219 to some West Virginia towns with unique histories. And visit the classroom of West Virginia’s Teacher of the Year. Ky. State of the State: Legislators across Appalachia have gone back to work and many governors have delivered their state of the state addresses, including Kentucky Governor Steve Beshear. WEKU’S Stu Johnson reports from Frankfort. On this West Virginia Morning, the Senate and House look to keep business going in the aftermath of the chemical spill. The House tackles a bill that would help business owners in a water shortage. Also, a new book from a West Virginia University law professor, on Mahatma Gandhi. 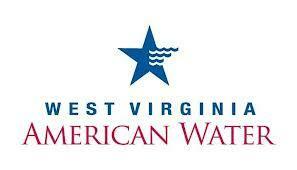 The “do not use” order has been lifted for the last customer area in West Virginia American Water’s Kanawha Valley district. Customers in the Clendenin area may begin flushing according to the established guidelines. Although the online map currently reflects that all areas have turned blue, customers should keep in mind that precautionary boil water advisories are in place for several smaller groups of customers throughout the district after water storage tanks were depleted following excessive flushing activities.